A new small publisher focused on children’s books has recently released its first title, amid plans to release two more books in 2018. In May this year, Yellow Brick Books released its first title, Young MacDonald by author and illustrator Guiseppe Poli—a picture book about an ordinary day on the farm transformed into a grand adventure through Young MacDonald’s vivid imagination. Yellow Brick Books will release two more picture books in 2018. In September, the publisher will release Grumpy Bear, Grouchy Bear (Lynn Ward, illus by Monty Lee)—a rhyming story of a hungry bear in search of something—and in October it will release Filthy Fergal, by CBCA-shortlisted author Sigi Cohen and illustrator Sona Babajanyan. Filthy Fergal is a picture book that tells the story of a boy who ‘sets out to find somewhere he belongs, and discovers that even a boy like him can find a place to call home’. The small publisher has also acquired rights to two previously published picture books: Oliver’s Grumbles (Yvonne Mes, illus by Giuseppe Poli), which Yellow Bricks Books re-released in October 2017, and Gus the Asparagus (Ann-Marie Finn & Kaylene Hobson), which will be re-released in July this year. 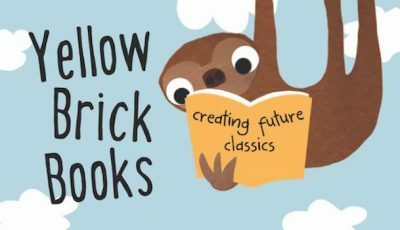 First established in 2016, Yellow Brick Books aims to produce ‘quirky, fun, engaging books that will become future classics’. Acquisitions editor Rowena Beresford says the small press is primarily focused on ‘picture books and early readers (accessible chapter books for 5-9 year-olds)’, as well as junior fiction for ages 9 to 12. Yellow Brick Books currently has other picture books under contract, as well as an early readers series. The team of three at Yellow Brick Books comprises illustrator and designer Ann-Marie Finn, founding director of Wombat Books Rochelle Manners, and Beresford, who previously founded and edited a magazine and membership service for schools called The Book Curator. Yellow Brick Books titles are distributed through Novella Distribution. For more information about Yellow Brick Books, see the website.